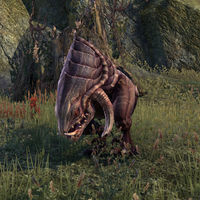 The more powerful relative to the alit, the Kagouti is a large and aggressive two-legged animal with large tusks. 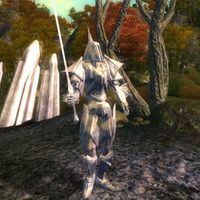 The Boneyard Keepers are towering servants of the Ideal Masters who reside in the Soul Cairn. 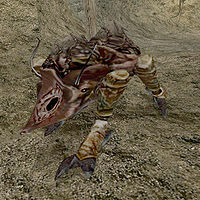 Charged with the incarceration of Valerica, they herd imprisoned souls and drain their energy to maintain the barrier in front of the Boneyard. 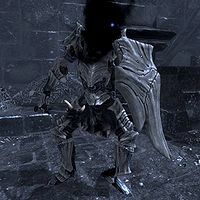 The Knights of Order are mindless Daedric soldiers, resembling crystalline armored knights. 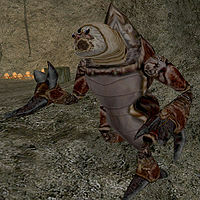 They are Jyggalag's Army and can be encountered during the Greymarches on the Shivering Isles, spawning from the Obelisks of Order and destroying the realm. 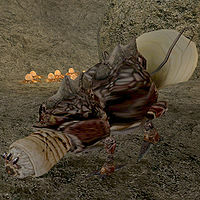 The kollop is a type of mollusk native to Morrowind. They occasionally produce valuable pearls. 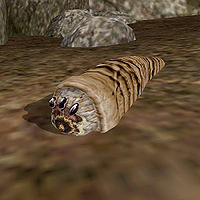 The cave kollop is a variant found in subterranean underwater grottoes. 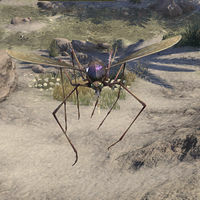 Large mosquito-like flying insects found in Black Marsh and Hew's Bane. Kraken barnacles were grown in the Sump of Umbriel for food. Kwama Foragers scout land and caves, searching for prey as well as suitable locations for new colonies. Though aggressive, the Forager is not particularly dangerous. The largest of the Kwama, which produces all of the nest's eggs. They are usually too large to move and their needs are attended to by workers. They are not aggressive unless provoked. 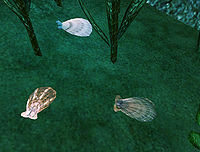 Scribs, also known as squibs, are the larval form of the Kwama. 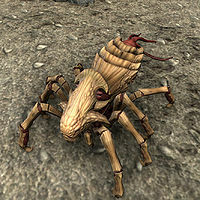 They are not very aggressive, but can paralyze attackers. See also: Scrib. Aggressive Kwama which protect the nest from invaders. Can poison its opponents. The primary source of labor in a Kwama colony, digging tunnels and attending to the Queen and eggs. It is not aggressive unless provoked. Can poison its opponents. This page was last modified on 20 January 2019, at 20:29.